Mom's Gone Bronson! 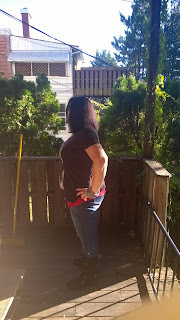 : Nutrisystem update end of week 13! Nutrisystem update end of week 13! 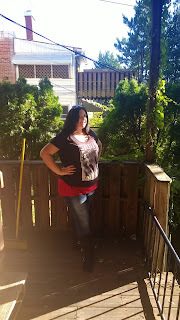 Disclaimer: I was provided with Nutrisystem in exchange for my honest opinions based on my own experiences. Your views and experiences may differ to mine, thank you! So, here we are at the end of week 13! My scales finally moved enough to feel like it makes a difference to break this flat-line I've been having for a couple of weeks! 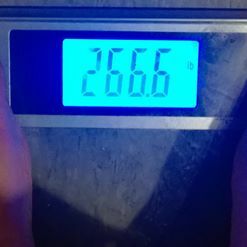 The scales this week, when I weighed on Tuesday morning, pumped out the bright 266.6lbs, which takes me down another 1.4lbs to a total of 31.4lbs. I am not bored of the food at all as I know the things I like by now that I ordered the items I know I will enjoy rather than ordering different things based on variety - this month I have been eating a lot of the ham/egg/cheese breakfast sandwiches or the french toast when I want a sweet treat in the morning, instead. I usually help myself to a small handfull of walnuts or drink a latte or something as well and then I am satisfied with breakfast. I am seriously enjoying the meals that I make every day, like last night I had the mushroom stuffed chicken and made myself some nice yellow tomatoes with kale and onion on the side. It is very satisfying and bright and beautiful on the plate, too. Next month I think I might need to order extra lunch bars as I have found that they are the most convenient way to take the food on the go and the shakes come in really handy if I need to be somewhere and have to nourish myself on the run. As the weather starts to simmer down, I think I will be ordering more of the home-style chicken or the white bean chili cups to keep warm at lunch-time and just to feel that comfort without having to over-indulge. I am looking forward to seeing how the winter progresses as I know I naturally slow down a little over the cold months and just want to keep on going so I have to stay motivated and push on. That's it for this week - the weekend is nearly upon us so hang in there and make it a good one. Remember, if you are on Nutrisystem as well, I'd love to hear from you. Happily married, home-schooling mother, writer, photographer and artist, with a zest for life and creativity. Eternal optimist, sounds like Mary Poppins, loves to share a conversation over a nice cup of chai, very attached to Hamlet and my children's names coincidentally spell out BARD! Easily won over with a good sonnet! PR FRIENDLY! Skylanders Halloween Costumes are GO! The Walking Dead Season 7, Ep 1.